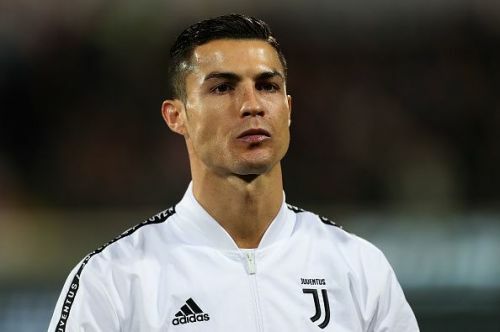 It seems like the records keep toppling for Juventus star Cristiano Ronaldo as the Portuguese ace has reached another club milestone yet again. Following a successful Champions League week, Juventus returned to Serie A action when they went up against Fiorentina on Saturday. Goals from Rodrigo Bentacur, Giorgio Chiellini and Cristiano Ronaldo succumbed Fiorentina to an inevitable 3-0 defeat. Ronaldo took his tally to ten goals in 14 Serie A appearances for the Bianconeri so far this season, thereby equalling a 60-year-old club record. Before the Portuguese, the only other player to have registered double figures within 14 games of a domestic league season was Welsh ace John Charles in 1957. The goal also marks the former Real Madrid star's 11th goal in 18 appearances for the Italian giants in all competitions so far. When asked about the decision to let Ronaldo take the penalties, boss Max Allegri jokingly said (via Goal), "Ronaldo takes the penalties." "After he's scored that one against us in the 93rd minute at 139km/h, am I supposed to let somebody else do that?" "He has to do something to be forgiven. He's got to take penalties and score... always." He added, "It wasn’t easy, as the atmosphere was passionate and the whole city had been waiting for this game." "I asked the lads to stay solid and after a period where we didn’t play all that well, allowing them to keep the ball for 10 minutes straight, we reorganized." "The second goal helped us shake off the tension and we relaxed into our lead. We had more chances and could certainly have gone 2-0 up earlier." Juventus now stand eleven points clear at the top of the Serie A table. Ronaldo scores a goal from a penalty. Ronaldo is rewriting the record books. It's unbelievable. Get out of my face with whatever nonsense you're trying to talk. The man is a gift! Its Cristiano Ronaldo vs The Whole World once again. Cristiano Ronaldo needs five more goals to complete his 50 goals tally for 8th consecutive time.